On October 7th and 8th 2016, regional elections were held in 13 of the 14 regional parliaments in the Czech Republic. No elections were held in the capital Prague. Andrej Babiš and his party ANO (akce nespokojených občanů, „Ano“ also means „Yes“ in Czech) won in nine regions, Bohuslav Sobotka and the Czech social democrats won in two regions, the Christian democrats were able to get the most votes in one region. In the Liberec region, the regional party Starostové pro Liberecký kraj (major for the Liberec region) were able to secure a win. ANO got 21,05% of votes in the whole country, social democrats (ČSSD) got 15,25%. They were followed by communist party KSČM with 10,55% , the civic democratic party ODS with 9,47%, Christ-democrats KDU with 6,30%. SPD with 4,67% and the political movement STAN with 4,02%. Various other parties reached 28,69% of the total votes. Only roughly a third of eligible voters participated in the regional elections. Bohuslav Sobotka conceded defeat after the elections and acknowledged that the electorate voted for a political change in the regions. The election was also a defeat for the conservative opposition parties like the ODS. The government participation of ANO was apparently not a negative factor for party. ANO, which first appeared in 2012, could establish itself as the strongest political power in nine regions in the first regional elections they participated in. 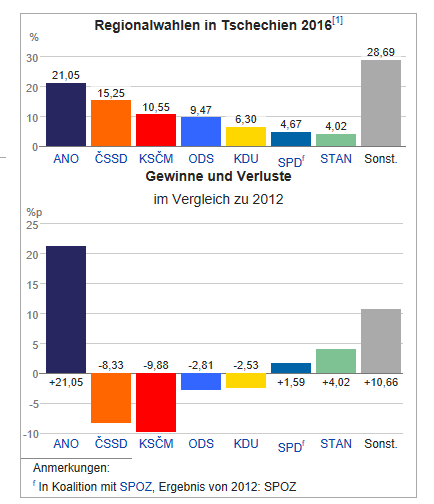 Immediately after the party´s establishment in 2012, they managed to win roughly 20% of the Czech electorate. Already at the EU elections in 2014, the ANO party became the strongest political power in the Czech Republic. The ANO also competed in the last parliamentary elections with the slogan “ANO, bude líp” (“Yes, it will get better) and were able to secure second place in this election. 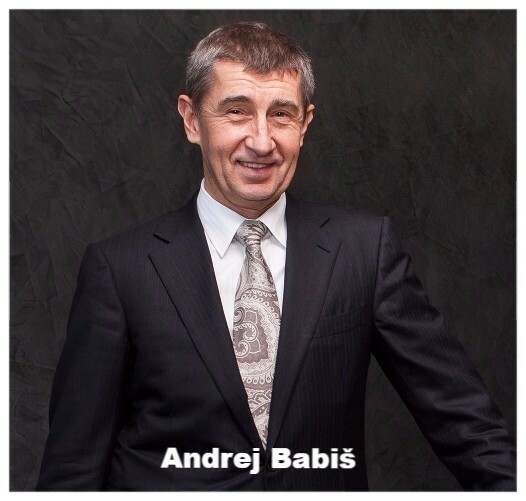 As coalition partner, Andrej Babiš became the new minister of finances. Babiš presents himself as a fighter against corruption and dissipation of money. This fact makes him popular among many Czechs. The 61-year-old billionaire is the owner of the Agrofert Corporation, 250 companies in 18 different countries are a part of Agrofert. Besides many other ventures, he also owns two important Czech daily newspapers and a Czech radio station. Critics of Babiš are distrustful of his influence in the media. The regional elections are regarded as a trend indicator for the next parliamentary elections in the Czech Republic, which will be held in 2017. The results of the regional elections confirm national polls, which see ANO as leading party. The outcome of the elections also boost speculations that Babiš is planning to become the next head of government after the next parliamentary elections. Czech media sources are reporting that he wants to become the successor of Sobotka after the next elections. Considering the competition between the coalition partners in the government ANO and ČSSD, the political opposition almost perished. The civic ODS and the conservative Top09 were still not able to surmount their difficulties after three years. Back then, their administration was toppled because of a corruption and bugging scandal. Both parties only attained single-digit results. This fact must be very disturbing for these parties, because traditionally the opposition parties gain votes in regional elections in the Czech Republic.